I wrote the draft of this post way back in August, before we started our first year of homeschooling, and never got around to editing it! I guess it's about time to make note of where Basbusa started out, since it's almost time to write about how things have gone during the first semester. So, here's a quick summary of what Basbusa was doing as of last August, when she had just turned four. Favorite Interests: Reading, being read to, pretend play, and making up stories (for hours and hours). Quran: memorized up to Surat Al Nasr al7amdulillah. She's not very solid on most of it when reciting alone, but reciting quite smoothly and confidently along with me. Reading: Everything, independently. Typical chapter books she reads alone are House at Pooh Corner, and Milly Molly Mandy. She's completely at ease if she already knows the plot; a bit slower if it's new to her. Writing: can write her name, "Mama" and "Grandma" without thinking about it; asks for spelling for everything else. Still writing in all capitals. She mostly uses writing to label her drawings to show who they are presents for; she writes some "letters" and notes to friends. Art: draws all day long, with a pen. Not very interested in coloring in her pictures, nor in exploring other art media (even markers or color pencils or crayons), although she'll sometimes paint if it crosses her mind. Motor Skills: Finally enjoying jumping off things, more willing to test her own abilities, less hesitant in playgrounds. Social Skills: Getting better all the time at the art of playing with one other person (whether a new or existing friend); more willing to start up a conversation in playgrounds with children she doesn't know. Still learning how to go about joining other children's games-in-progress. Science: Hmmm.... Interested in gardening, but I think hanging out with Grandma is more of a draw than the garden itself. Not really into collecting things from outdoors; not particularly excited about nature walks etc. Math: In Arabic, counts to 10. In English, all the way up to 100 if you tell her what's after 19 :) Can do simple addition and subtraction (such as, "If Grandma had 5 candies and gave you 3, how many would she have left?"). No problem with patterns like ABAB, AABAAB, ABCABC. Yet another much-too-long silence! But during these first few months of "real" homeschooling, I've been focusing more on doing it than on writing about it. 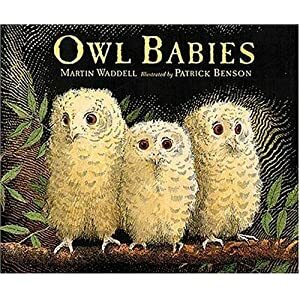 I have a million books to write about, but just to start off with, here are some books that my younger daughter, who just turned two, has loved lately. She's truly moved beyond board books now; these are all picture books that I think are perfect for kids who just at the stage when they can follow and enjoy a simple plot. I Can Help! was a hit with Kunafa for about two months of daily readings. The story-line is simple, plausible and charming: on each two-page spread, an animal gets into trouble, and his helped by a friend. On the next page, that friend runs into problems too, and is helped by someone else. And so the pattern continues, until the chain of helpers circles back around again to the curious little duckling who started it all in the first place. Kunafa loved this one partly because the plot was so easy to grasp, and partly because the animals have difficulties that are very familiar to two-year-olds (like getting lost, getting a splinter, or falling off something). She also still loves looking at animals, so she liked this cast of characters too. I thought the illustrations were delightful; appealing without being cutesy. Fluff & Billy is my least-favorite of the five I'm reviewing here, but Kunafa loves it. This is the story of two penguins going about their day, which entails doing and stating the obvious (twice over, for each activity: "'I am jumping up!' said Fluff. 'I am jumping up!' said Billy.") 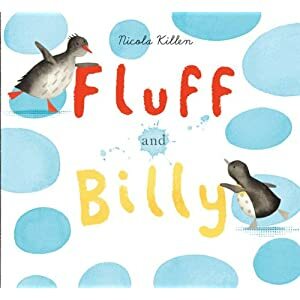 Kunafa, however, seems to delight in the predictability of Billy's echoing every dull sentence of Fluff's, and finds the climax - the one time when Billy says something slightly different from Fluff - correspondingly exciting. What Billy actually does at this moment is to throw a snowball at Fluff, and Kunafa seems to find deep meaning in the fact that he hurt his friend, but that he didn't mean to. All is happily resolved and the friends reunite, repetitively. Two thumbs up from Kunafa. 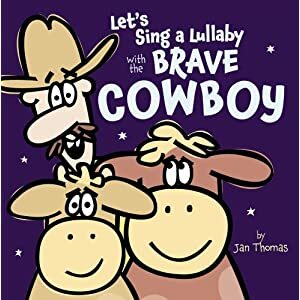 Let's Sing a Lullaby with the Brave Cowboy, like Rhyming Dust Bunnies by the same author, never fails to have both Basbusa and Kunafa collapsing in giggles. In fact, this one is an even bigger hit with Kunafa, because its humor doesn't rely on a kid's ability to understand the concept of rhyme. The plot is simple - a scardey-cat cowboy keeps needing to be reassured by his cows that nothing is sneaking up on him while he tries to sing them to sleep - but it still manages to end up with an unexpected twist. Kunafa loves chiming in with the cows as they say, "No, Cowboy, it's just a flower! ", or "No, Cowboy, it's just me!" and both girls love how the cowboy keeps interrupting his lullaby to say, "Eeeeeeeek!" instead of "Good Night." 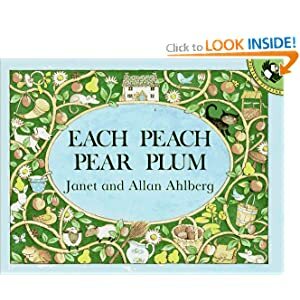 I read Each Peach Pear Plum with Basbusa when she was three, but she wasn't wild about it. I think maybe it was a little young for her at the time? It's just perfect for Kunafa, at two, and she has this one memorized, even without the book in front of her as a prompt. Each spread has a sentence describing the main action of the illustration ("Mother Hubbard down the cellar"), followed by a hint pointing to you find another character hidden in the picture ("I spy Cinderella!"). The "hidden" characters are just visible enough to make the challenge interesting rather than frustrating for a two-year-old, and there are lots of interesting details to look at in the pictures beside the main subjects, like the frog who rescues Baby Bunting's pacifier or the sheep eating a slice of plum pie with Bo Peep. Each scene can stand alone, but all the "I spy" scenes actually link up to describe how all the characters are preparing for a picnic together. When I read this with Basbusa, I think I felt that the subject-matter of this book was a bit awkward: I thought that children who would love the simplicity of this language and plot would be too young to have much acquaintance with the storybook characters who crop up in this story (Cinderella, Tom Thumb, Mother Hubbard). And it's certainly true that Kunafa has no clue who Mother Hubbard or Baby Bunting are, outside the context of this story (hmmm, nor do I, now that I come to think about it!). But it doesn't seem to bother her in the least, and she's just as interested in "spying" them in the pictures. One monkey finds a Banana, a second monkey wants it, and eventually they both realize that sharing it will make both of them happy. The only word used in the text is "Banana!" (oh, and one "please"); the expressions on the monkeys' faces explain whether it's meant as a cry of jubilation, a plea, or a full-fledged tantrum. Kunafa totally got the concept of wanting to share but having to ask nicely, and she liked acting this one out as we read it, mimicking the monkeys' faces and gestures. A fun read. If you're looking for other books for this age-group, I have reviewed four others here. 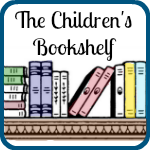 Linking up with Read-Aloud Thursday and The Children's Bookshelf. Blog Hop: How Do You Teach Quran? As I explained in my last post, I'd love to know more about how exactly other moms go about teaching their children to memorize Quran. So, here is a place where several Muslima mamas have shared how they do it. Please feel free to add your link to this if you have one! Jazaakum Allahu khayr, and may all our children benefit insha'Allah. Since I'll soon be hosting a blog-hop focusing on how, exactly, other moms go about teaching their children Quran, I wanted to share what we've been doing so far. Not that I'm an expert!! On the contrary, I feel spectacularly clueless when it comes to this whole issue, and I have no idea whether I'm even headed in the right direction, never mind taking the most efficient route to get to the final destination. But for what it's worth (any feedback soooooo welcome), here's our current system. Basbusa turned 4 early in July, and we started memorizing Quran a month before then. So, we've been working on it every day for about three months now. How do we go about learning a new ayah? Well, first I say the new ayah for her, a word or two at a time. She repeats the words back, and we talk about what they mean. Then we put the whole ayah together bit by bit, both in terms of how to connect the words and phrases, and in terms of what the overall meaning is. Then we say the ayah ten times together, and then Basbusa says it five times on her own. This whole process takes about ten minutes. If she's still fresh and happy, we do a bit of review, and if it's been a struggle to keep her focused or she's just not into it, we stop after finishing the new ayah. And as for incentives... well... much as I wish I could say that my daughter memorizes Quran purely for the love of it... Basbusa gets to choose a piece of penny-candy when she's done. I think this is probably dreadful, and I'm worried that she'll end up loving the Quran because it's a route to tooth-decay rather than a route to Jannah insha'Allah. But when we started out (and we had tried several times before, when she was younger), Basbusa was completely uninterested in the whole process, even though she sees me memorizing each day, and we often have Quran playing in the car, etc. Her lessons kept turning into a battle of wills more than anything else, taking way longer than they needed to because of all the time spent trying to get her to focus. The candy helped us get past that initial tension. Learning Quran has now become part of our routine, which Basbusa happily expects and participates in al7amdulillah, so I guess I should plan to phase out the candy. But so far, I've been chickening out, because the whole thing is so much more fun for both of us when Basbusa is excited about it. Also, although I've often told her how great the rewards are for learning Quran, I think Al Aakhira is still kind of vague to her four-year-old mind. But when I tell her that the candy she gets now, from me, is just a teeny tiny hint of all the rewards she will get from Allah later insha'Allah, it seems to be much more meaningful to her... No matter how I try to justify it to myself, though, I still can't help feeling that it can't be a good thing to bribe your kid with candy. Argh. Advice, anyone? I'm really interested in hearing other people's stories and ideas on this topic! Or do you have a favorite site or blog or khutbah to recommend? Interested in a Not-Back-to-School blog hop? I've seen all kinds of interesting Not-Back-To-School Blog-Hop posts as we get nearer to the end of the summer, with lots of homeschoolers sharing their curriculum choices, schoolroom set-ups and daily schedules. It's all very helpful, since I plan to start our "official" homeschooling in a few weeks. But there's one thing missing: I haven't found any examples of how people plan to go about teaching Quran, which is the part of homeschooling I feel least confident about. When it comes to academics - reading, math, and so on - I'm pretty sure that all that will be fine insha'Allah, especially since Basbusa is only four! But for Quran, I'm always worried that I'm pushing too much (or too little? ), or approaching it the wrong way, or being too picky (or not picky enough?) about perfect pronunciation, or getting the balance wrong between new surahs and revision... Maybe because I wasn't raised Muslim myself, or maybe just because it's such a big responsibility, I feel so clueless when it comes to teaching the girls Quran. Would anybody else be interested in a Muslima-focused version of a Not-Back-To-School Blog-Hop, where we could share posts about our goals, methods and curricula for Quran and Islamic Studies with our kids in the upcoming academic year? all the technical details of how you go about the process. How long do you spend per day? Do you use a tutor or an online program or website, or do it all yourself with your children? How do you balance review and new memorization? Do you have any kind of reward system? 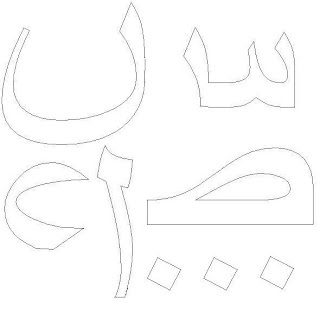 For the last week of our preschool "Ramadan Club," we had waaaaaay too many letters left to cover: ف ق ك ل م ن ه و ي. But we gave it a try anyway :) I only have two new games to share this time, because some of the others were repeats from previous weeks, and not all of my new game ideas were as popular with the kids as I had hoped. I pre-rolled some long playdoh "snakes" and dots, because I didn't want the kids to get too distracted by the fun of playing with playdoh during class. I gave each kid a paper plate, a snake, and two dots, and asked them to sit on the floor in a circle. Then I asked the kids to use their snake-and-dots to build me a ف on their paper plate. When everyone was done, I asked them to pass the plates to the person on the right, and change the letter they received into a ق. And so on, changing back and forth from ف to ق, as I gradually sped up how fast I called out the letters and how fast they had to pass the plates around the circle. Sometimes I'd try to trick them by calling out the name of the letter they already had, rather than the opposite one. I was trying to get them to remember that the difference between the two letters is that the ق has two dots and a "deeper" tail, whereas the ف has just one dot and a "flatter" tail. 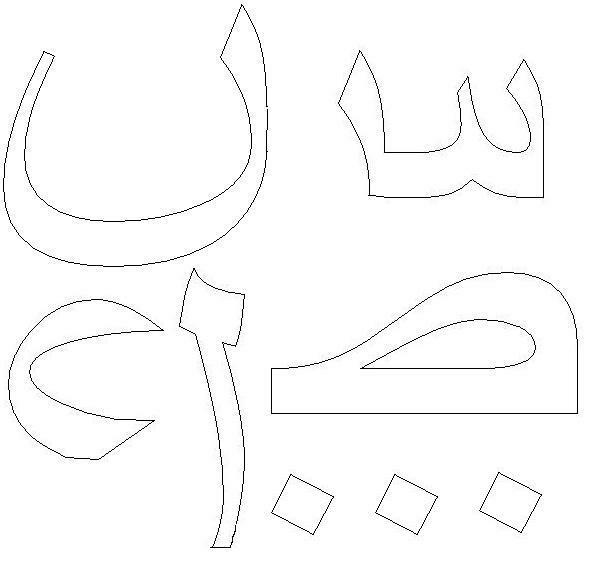 To help the kids learn ك and ل, I wrote the two letters side by side on a big piece of paper, and we talked about how their shapes were similar and different. Then I set up three trays with about half an inch of sand in them, and a copy of the two letters right in front of each tray. The kids took turns to use their fingers to "write" the letters in the sand. It sounds pretty simple but the kids liked it a lot, and kept asking for more turns. This is a Montessori-based idea, and the theory is that the kids get two kinds of reinforcement at the same time: the see the shape with their eyes, and they feel the shape (and the motion of making it) with their finger. Hint: to save your floor, put a tablecloth or something under the trays of sand! Preschool Arabic Alphabet Games (3). I got out our foam letters and pulled out letters ا through ز.
I spread them out in a row, spaced jumping-distance apart. Then we moved on to hopping down the row instead of jumping. The kids were really enjoying it so we could definitely have kept on going with other kinds of jumps, but since it was only review, I wanted to move on to the new letters of the day. Then I wrote one of our eight new letters on the board, repeated its name and asked the kids to build me one like it. That's it. Simple, but the kids liked it, and it gave me lots of opportunities to repeat the name of the letter over and over again while the kids were focused on the corresponding letter-shapes. We seem to do a lot of jumping in these games, I know! I wrote our eight new letters on the board, and had the kids crouch down on the floor like frogs. If I called out a letter that has a dot (or dots), the kids had to jump up in the air as high as they could. If I called out a letter with no dot, they had to stay still. In the beginning, I helped out by pointing to the letter as I said it, and then moved on to saying the letter without giving them hints. They were really enjoying the jumping, so in the end we had them jump three times for three-dot letter, once for one-dot letters, and not at all for no-dot letters. Al7amdulillah, the kids had fun, and ended up with at least a basic grasp of the new letters. Eight new letters for a bunch of four-and-five-year-olds in twenty minutes is really too much, no matter how much fun you make it, but we're trying to get through the whole alphabet during Ramadan insha'Allah. I have two more games to suggest from our "Ramadan Club" last week, when we covered the letters ج, ح, خ, د, ذ, ر and ز. 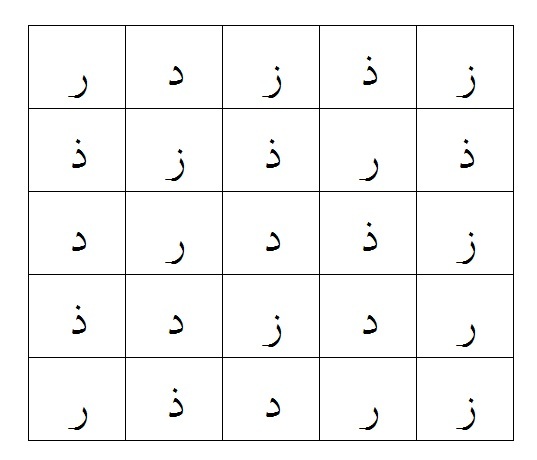 We did this with ج, ح and خ, but you could use any group of letters that look the same except for the dots. We divided the kids into three groups at one end of the room, and gave each group a piece of chalk. I set up a big chalk-board at the front of the room, and wrote three big ح 's on it (one for each group). The group whose runner arrived back first won the race. I made this bingo sheet with the letters د, ذ, ر and ز.
I wrote the letters on four balls (but you could use pieces of paper, or anything else) and put them in a bucket. I pulled out one ball at a time, held it up and said its name, and the kids had to find a matching letter on their sheets (each letter appears many times) and put an "X" through it. First person to get a complete row of X's wins. Preschool Arabic Alphabet Games (4). I wrote the letters ب, ت, and ث on separate pieces of paper, the same number of copies as we had kids. Then I stuck them all randomly to the floor, spread out a bit so the kids wouldn't be too close together. I made one copy of an ا for myself. Then I called out letters, and the kids had to run to jump on the letter I had named. But since I was the only person with an ا , when I called ا, the kids all had to run after me and try to tag me. I put a mug on the floor for each kid, arranged in a big circle. The kids each had a set of flashcards with ا, ب, ت and ث on them. I played the alphabet song in Arabic while the kids skipped around in a circle (well, more or less). When the music stopped, I called out a letter, and the kids had to race to the nearest mug, find the right flashcard, put it in their mug, wave their mug in the air and call out the letter. I put the kids into pairs (just so that kids who weren't too sure of their letters would have a buddy to guide them), and gave each pair a bunch of pipe-cleaners. I called out a letter and they had to work together to make it out of their pipe-cleaners. All three games went pretty well, but the first one was probably the one they liked best. I read this post on one of my favorite blogs a few days ago, and I loved Alice's point about how valuable and yet how difficult it can be to be generous with your time with your children. Oh gosh, so true. I think I do a relatively ok job, most of the time, of pretending to be patient with my kids, even when my stock of patience is running pretty low. But sometimes.... well, I guess it's inevitable that a mom of a four-year-old and a one-year-old will spend a large part of her day waiting - for someone to finish tying their shoes, for someone to finish eating their yogurt, for someone to drag their nose out of their book long enough to respond to what you're telling them... the list seems endless. Most of the time, I truly don't mind. Other times, it drives me batty :) I usually manage to hide my impatience well enough that the kids don't realize it's there (I think), but sometimes it's all too obvious from my reactions that their pace is messing up My Schedule. I've been disappointed with myself for so long about this, because first of all, they're little kids and can't help it, and second, where do we really need to be in such a hurry? Nowhere in particular, is the answer. But I couldn't seem to convince myself to relax and just go with a little-kid-paced lifestyle. And it's not just with the kids, either. That little bit of time after the kids are in bed is so precious to me that I kept finding myself feeling resentful when my husband needed my help with anything extra during that window of time, and obviously that kind of attitude never made for a happy end to the evening. Now that Kunafa, at one-and-three-quarters, is old enough to start enjoying picture books as well as board books, I've been especially pleased when we find a book that both girls love to hear together. Basbusa just turned four, so there's not a huge amount of overlap between their tastes most of the time, but all four of these books were big hits with both girls. You'll notice that they all involve animals, which has been a favorite topic of Kunafa's practically ever since she was born. 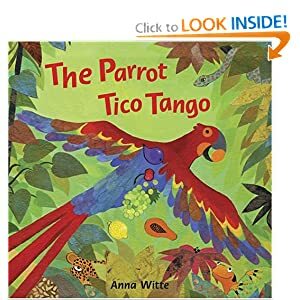 "The Parrot Tico Tango had a round, yellow mango / But it wasn't quite as yellow as the lemon of Marcello. / And Tico Tango knew / That he had to have it too, / So he took it!" So begins the story of the greedy parrot who steals fruit after fruit from each of his friends, much to their dismay. But in the end his greed becomes his downfall, and he ends up contrite and willing to share. We liked the tango-like rhythm of the words, and we liked the rhyme (as we always do). The repetition of the ever-lengthening list of stolen fruit was fun for both of them, but especially for Kunafa, and both girls liked scolding Tico Tango for his behavior. They both liked the justice of Tico Tango's losing all his fruit ("Now the parrot Tico Tango / Didn't even have his mango! "), and of his having to make amends ("If you teach us all to tango, you can have a piece of mango.") The one criticism that Basbusa made about this book (every. single. time. we read it) was that Elena's fig, "which was purple, sweet and big" was actually more blue than purple in the illustrations. We've had a mixed relationship with Mem Fox. Sometimes the girls love her books,and sometimes they seem to fall flat. 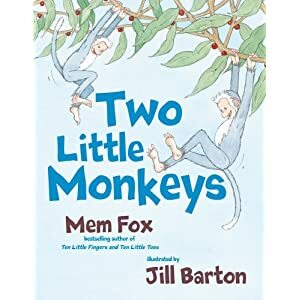 But Two Little Monkeys has zoomed right up to our all-time favorites list. The text is simple enough that Basbusa can read it with no effort at all, which she always finds encouraging at this stage, and the plot - the tale of two little monkeys who almost get pounced on by a leopard but escape up a tree at the last moment - is simple enough that even Kunafa can follow the action. It has just the right amount of suspense (it's not clear initially exactly what is prowling through the bushes) an exciting escape, and a happy ending. A perfect toddler story. One of our favorite destinations in Boston is the Children's Museum, which has, in the 3-and-under-area, a car that plays a song. Basbusa has loved that song ever since we first started going there, so when I accidentally discovered the book that goes along with it, I knew she'd like it. "Daddy's taking us to the zoo tomorrow, zoo tomorrow, zoo tomorrow. Daddy's taking us to the zoo tomorrow, we can stay all day. We're Going to the Zoo, zoo, zoo, How about you, you, you, You can come too, too, too, we're going to the zoo, zoo, zoo." 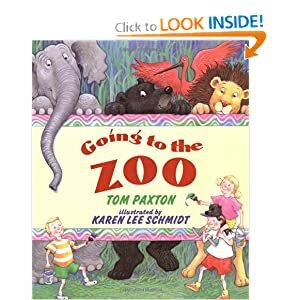 The text of the book is just the words of the song, and the illustrations are interesting, animal-filled, and full of a child's excitement at a trip to the zoo. I don't know if the girls would have enjoyed the book quite so much if we hadn't all been singing along with it (the music is included on the last page of the book, but there's no CD), but I think it would have been a good read in any case. Me Baby, You Baby is another trip-to-the-zoo story. In a way, it's aimed at a younger audience, because the two children in the story are still very young toddlers. In terms of the length of the book, though, it's well-suited for older kids. 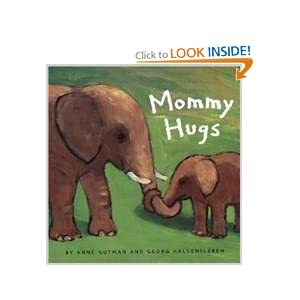 The text and the delightful mama-and-baby-themed animal pictures work well for either age. (The words might have been a bit babyish for Basbusa, but she could read them herself, so she didn't mind.) 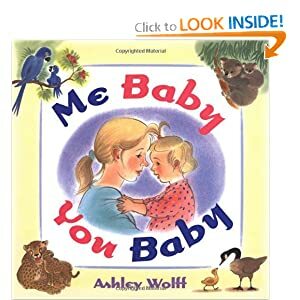 The story covers one day in the life of two toddlers, from sunrise ("Stretch baby, yawn baby, Here comes the dawn, baby") to sunset ("Sleep baby, tight, baby, Turn out the light, baby"), and I thought it captured perfectly the pace and rhythm of life with a very young child. We renewed this one three or four times before finally giving it back. 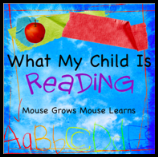 Linking up with Read-Aloud Thursday and What My Child is Reading. Kul sena wentum Tayeebeen! Just in case anyone is looking for last-minute decoration ideas, here's what Basbusa and I made last week. We always make a whole bunch of these little lanterns (so easy that even Kunafa, 20 months, can help), and although they're plain, they do look festive when you make a whole bunch of them and string them up like a garland. (They actually don't look quite as cool as that - I think the camera is doing me some favors :) They're totally not "traditional" in appearance, but they're pretty, and they glow, so hey, they'll do. 1) Scribble randomly on the paper with a white crayon. 2) Paint over it with watercolors (because they won't adhere to the part where the crayon is). I just offered Basbusa three colors, because of the tendency for things to turn into a massive pool of brown when she has unlimited options! Basbusa thought it was pretty interesting to see the white crayon-lines "magically" appear. 3) Wait for the paint to dry. 4) Put a few drops of oil on the paper, and use your hands to spread it out all over the page (this makes the paper more translucent so that the light shows through better). 6) Put a candle inside the jar, light it, and slip the cover over it. Just one note about the oil - we used canola oil, which worked fine, until I noticed that it was starting to attract ants! We'll use baby oil next time instead, insha'Allah. Peek-A Who? 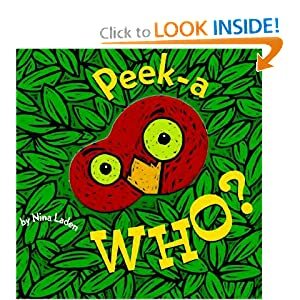 has just six peek-a-boo surprises, each one peeking through the cut-out on one page ("Peek-A..."), to be revealed completely when baby turns the page ("Moo! ", "Zoo! ", "Boo!" or "Choo-Choo!"). It's just the right length for the attention-span of the youngest babies, and has clear, bold but not crude illustrations. There's a mirror at the end ("Peek-A.... YOU! 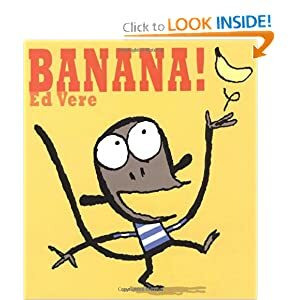 "), and the rhymes chosen allow plenty of scope for sound effects, which my kids always find entertaining (my impersonations of cows, ghosts and trains have reached their current level of professionalism almost entirely thanks to this book :). Plus, the cut-out in each page makes it even easier for little baby-fingers to turn the page over. Everybody knows babies like pictures of other babies, and there are billions of books of baby faces. Everybody knows that babies like pictures of animals, and there are billions of books of pictures of animals. 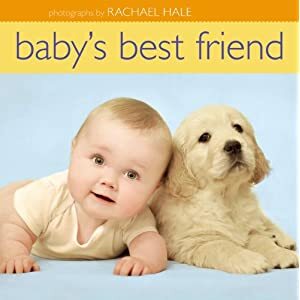 But Baby's Best Friend is the only book I've come across that combines the two: there are some of the cutest babies I've ever seen in this book, along with some of the cutest animals. Each picture has a baby and a baby animal, color-coordinated in some way. The pictures are clear, appealing and varied: a baby with a mouse on his shoulder, a baby peeking over a sheep, a baby with turtle climbing up his back, a baby taking a bath with some ducklings. Plus it's longish for a board book, so you can dip into it frequently without going the whole way through each time. This means it takes longer for me to get sick of reading it :) I also like that the book does a reasonably good job of showing a multi-ethnic collection of babies. There's a very small amount of pleasantly rhyming text, which I would appreciate even more if I actually read it (I stick to Arabic at this age). There are several other books in this series, all of which we have enjoyed, although this one is the favorite. 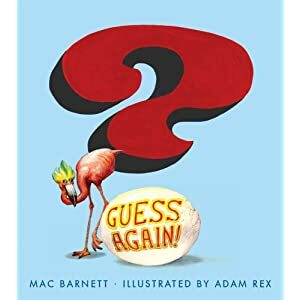 I'm not usually a big fan of "interactive" board books. Lots of books have tabs to pull or flaps to lift, but either they tear so easily that the book doesn't last, or else they're too tough for little fingers to move independently. Even when you've gotten it open, what you see underneath the flap isn't usually particularly interesting after you've opened it the first few times and know what to expect. Furthermore, in so many "interactive" books, I often feel that the novelty-factor of the tabs or flaps themselves is the only interesting part of the book, and the plot and the rest of the illustrations are nothing particularly memorable. This book, though, is different. 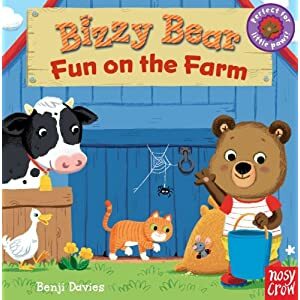 Bizzy Bear: Fun on the Farm (and the three others in the series, Bizzy Bear:Off We Go!, Bizzy Bear: Let's Go and Play! and Bizzy Bear: Let's Get to Work!) would be a good read even if there was nothing interactive about them. The illustrations have appealing animal characters, with lots to talk about in the illustrations in addition to whatever Bizzy Bear himself happens to be doing. And the "interactive" bits are not only incredibly sturdy and yet super-easy to move, but the scene that is revealed or the moving part itself actually adds to the richness of the illustration. Bizzy Bear's digger actually digs, for example, and the train he only just manages to catch then leaves the station. Plus, the interactive parts all move in different ways, so rather than a long series of flaps to lift or page after page of textures to feel, there are some tabs to pull, some sliders to slide (horizontally, vertically or diagonally), plus some more unusual elements like a sailboat that rocks in the waves and a rotary that spins. 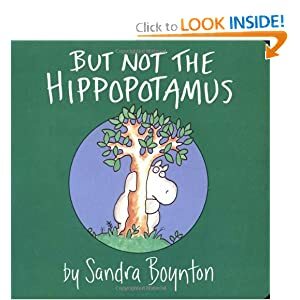 But Not the Hippopotamus is another Sandra Boynton book, so I won't got into much detail. Animals, rhyme, and a repeating pattern of text make it appealing for youngest kiddos; and then as they get older they can start to empathize with the feelings of the left-out hippopotamus. I've actually managed to tactfully remind my older daughter to include everybody at playdates by making a sad face and saying mournfully, "but not the hippopotamus!" 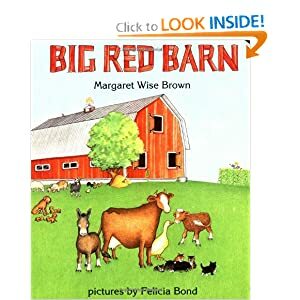 Big Red Barn is another one that's too well-known to need reviewing. Suffice it to say that both my girls have loved following the animals through their day from dawn to dusk. For these last three books, the baby needs to be old enough to grasp at least vaguely the concept of "plot." Kunafa got to that point recently, and since then, Clip-Clop has been a huge hit. The pictures are fine but nothing extraordinary. 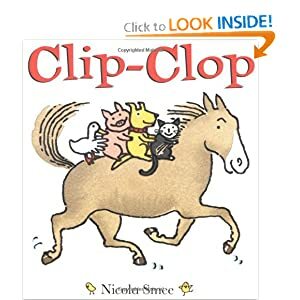 The story, on the other hand, describing four animals who go for a ride on a horse, fall off, and get back on again, is apparently one of the glittering jewels of the world of literature :) It's too funny to watch Kunafa's reactions to this one. You can see the suspense building in her whole body as the animals get on one by one, and then start going faster and faster. What's going to happen? What's going to happen?! And then the climax: they fall into the haystack! Oh, the excitement! Then she reflects the horse's concern: Are they ok? Are they ok? And the joyful relief: Yes! They're fine! They want to do it again! As, more often than not, does Kunafa. 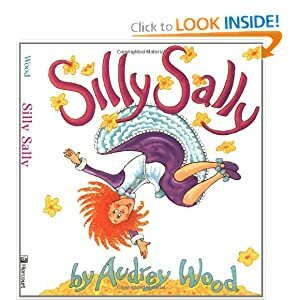 Silly Sally is the odd-one-out in this list, in that most of the plot is way over Kunafa's head (it's not that it's all that complicated, just that it's more suited for picture-book comprehension levels rather than that of board-book readers). However, neither she nor her sister before her seem to mind. They love the refrain, "Silly Sally went to town, walking backwards, upsidedown," and we all like trying to copy her. ("Look! I'm Silly Sally!," Kunafa exclaims, peering up at me from between her own knees.) Both girls also like looking further down the road in the illustrations, to predict which animals Sally will meet next, and we all like giggling once Neddy Buttercup shows up and turns Sally's stalled walk into a tickle-fest. Under the Ramadan Moon is both Basbusa's and my favorite so far. 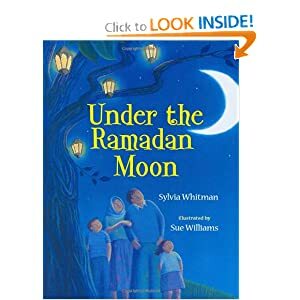 It describes the practices and traditions that are part of every Ramadan, in preschooler-friendly language with beautiful illustrations. Basbusa likes all the opportunities it gives us to say, "just like we do, right, Mama? ", as we reminisce about Ramadan last year, and she excitedly looks forward to the Ramadan that's about to begin isA. The book mentions fasting, breaking the fast as a community, visiting friends and family, watching for the crescent moon, giving in charity, going to the mosque, and hanging lanterns, among other things, and the illustrations manage to convey the joy and peace of the season. I also like that it seems to be set in the US (or somewhere in the West, anyway) - it's always good to have pictures confirming that being Muslim and being American go perfectly well together :) It's absolutely a book which is describing the experience of Ramadan, rather than trying to convey the underlying religious basis for it, but for Basbusa's age, I think that's just fine (and there is one page at the end, explaining what Ramadan is and why and how it is celebrated). The only thing that's slightly odd is that the mom in the family wears her headscarf in every single picture, even when she's at home in her own living room, but that's a small detail, and Basbusa didn't notice. 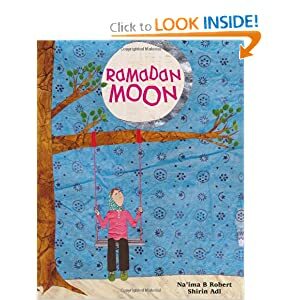 Our other favorite is Ramadan Moon, a book I've written about before. We still like it as much as we always have, but I'm surprised to notice that when I described it two years ago, I didn't mention the fact that most of the language was waaaaaaaaaaaaaaayyyyyyyy over my daughter's head. And it must have been, because she was only two then, and it's still beyond her now, at almost-four! Maybe I hadn't started reading English to her at all yet, so I just translated everything into toddler-level Arabic? In any case, the text is still too advanced, but there's lots to discuss in the illustrations ("Look, Mama, the children are still playing in the park, even though it's night time! It's because it's Ramadan! Can we do that too?"). Since giving to the poor is one major part of Ramadan, I've also been seeking out books about poverty, of which Basbusa doesn't really have much of a concept yet. Her two favorites so far are The Teddy Bear, about a boy who ends up giving his bear to a homeless man, and Two Sandals, Four Feet, about the friendship between two Afghan girls living in a refugee camp in Pakistan. The plot of The Teddy Bear was somewhat unlikely, in my opinion, but Basbusa didn't seem to question it. 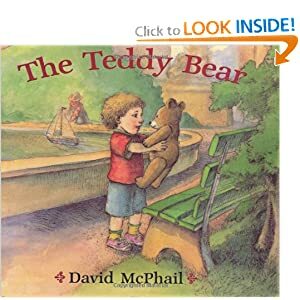 She focused on the tale of the bear lost and found, and enjoyed it, while I liked that it presented a homeless man realistically but sympathetically, and not as something to be feared. It showed his daily rounds of the trash cans, for example, simply as part of his daily routine, rather than sugar-coating his situation or dwelling heavily and explicitly on his plight. Not the best book we've ever read, but it was more or less what I was looking for. 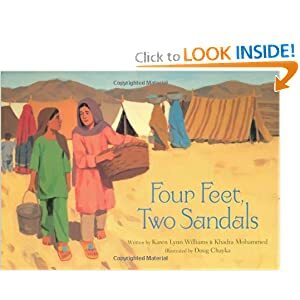 Two Sandals, Four Feet was a truly touching book, about two girls who shared one precious pair of yellow-and-blue flip-flops, the only footwear they owned. Basbusa did enjoy the book and has asked for several repeats, but I think she'll get more out of it maybe two years from now. For now, she appreciated that the two girls had made friends, and that their friendship helped them and strengthened them in their difficult circumstances, and that it was sad that they had to say goodbye at the end. But she didn't quite understand how hard the girls' lives really were, or how much they had lost, or how much the friendship meant to them as a consequence. I don't think she quite appreciated how generous it was of the girls to agree to share the shoes, given how few possessions they had and how badly they both needed them. But at least now when we're donating to charities catering to refugees, I will be able to tell Basbusa that it's for children like Feroza and Lina, and she will have some idea what I mean. Another too-long blog-silence, but not because of any lack of good books to write about! Since Basbusa has finished preschool for the year (making us officially homeschoolers now, I guess? ), I've lost my handy one-child-in-school-and-the-other-one-napping blogging time. But they're getting better and better at entertaining each other, and with the lovely summer weather they can play in the garden much more, so I'm hopeful that I'll get twenty minutes to blog every so often! My list of to-be-blogged-books has gotten alarmingly long yet again, so I'm going to zoom through some of these reviews in order to catch up a bit. These first two, however, were such favorites that they can't be glossed over. I found Tallulah's Tutu via a New York Times recommendation for the sequel, Tallulah's Solo. I actually wasn't thrilled with the sequel when we eventually got around to it, but the original story was just delightful. Tallulah, an effervescent preschooler with an adoring little brother, is convinced that she would be a wonderful ballerina - if only she had a tutu. A lavender tutu, to be specific. So, her mother signs her up for ballet lessons, which she loves right from the very first moment. The tutu she so confidently expects, however, doesn't seem to be ready yet... maybe it's being flown in from Paris, she wonders? Three classes later, with no tutu yet appearing, Tallulah's great disappointment leads to the discovery that ballet slippers are not ideal footwear for stamping your foot while shouting! Ultimately, of course, there's a happy ending. 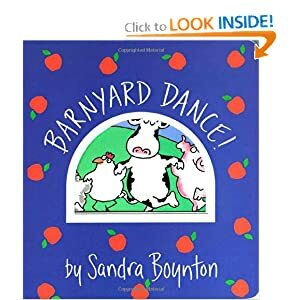 Basbusa loved the story of a girl just her age starting out to learn something new and exciting, especially since two of her real-life best friends take ballet. I loved that it was ballet-oriented without straying into the realm of overwhelming girly-ness and idolization of all things pink and frilly, and that the illustrations showed such enthusiastic and engaged little dancers - with the sticking-out tummies and not-so-streamlined profiles of real preschoolers rather than of miniature ballerinas. 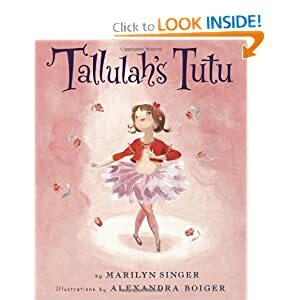 Plus, there were gentle and preschooler-friendly messages about working to pursue your dreams, being patient, and being flexible (the Tallulah's tutu, in the end, is not lavendar, but red). Next up is a slightly strange little book which Basbusa must have read about a million times. 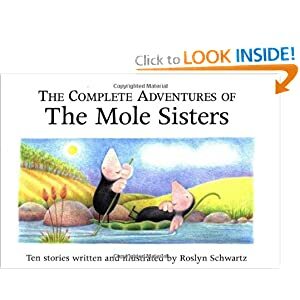 Complete Adventures of the Mole Sisters is a compendium of ten (very very) short stories about the two not-particularly-cute moles shown on the cover. Plots ranged from the simple-but-cute (uh-oh, rain is coming into the mole-hole - let's dig a bath and swim in it!) - to the simple-but-odd (don't worry, little clump of moss, your life needn't be dull - we'll carry you up a hill and leave you there! Ummm... what?!?). These peculiarities didn't seem to bother Basbusa in the slightest, however, and she was delighted (as usual) with the small size of the book, and thrilled with how easily she could read the the easy-reader-like text. So, in the spirit of reflecting Basbusa's own true preferences, it's two thumbs up for the Mole Sisters. 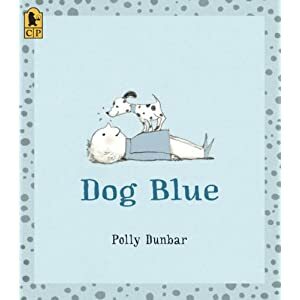 We chose Dog Blue because we had both really liked Penguin by the same author. In terms of plot, it's a little boy finally realizing his dream of getting a dog. Simple but sweet. I liked how the boy filled in with his imagination while waiting for his dream to come true, and I liked his creative solution when his dream-come-true turned out to be slightly different from his dream. 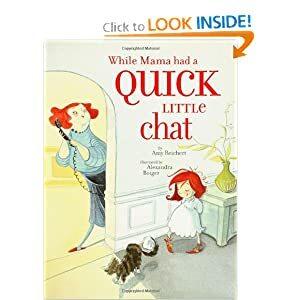 While Mama Had a Quick Little Chat is a story about what happened to Rose while she was waiting for her mother to finish her conversation with Uncle Fred. Party suppliers, guests, caterers, a band and a magician all make their appearance, much to Rose's astonishment and Basbusa's amusement, and then hurriedly disappear again when Mama finally gets off the phone. I think the other main factor that made this one appealing was that any little child can sympathize with a mother's seemingly endless "just a minute"s! 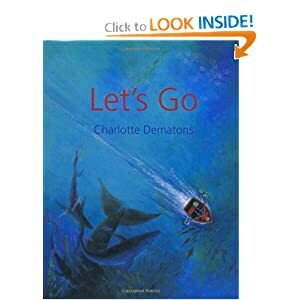 Let's Go describes a boy's trip to the corner grocery to buy some apples for his mother, but we see the journey has he views it through his imagination. The two-block walk takes him through a deep, dark forest, a rocky mountain, a beautiful but pirate-filled sea, and finally on tiptoe through the pirate's camp. The text is minimal, and very new-reader-friendly. Basbusa loves imagination games, and found the text encouragingly accessible (she read this one all alone, right off the bat). The illustrations are appealing, with a slight hint of "where's waldo" as you search for the boy in the midst of his imaginary surroundings. 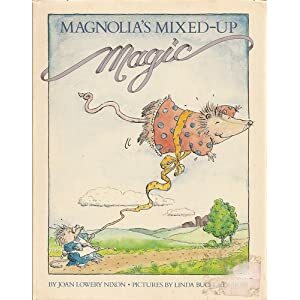 Magnolia's Mixed-Up Magic was a fun, quick chapter book, just right for Basbusa's level: short chapters, exciting but preschooler-friendly plot, and a reading level that was a comfortable stretch. Magnolia and her grandmother discover an old magic book which turns out to have real, working spells in it - but the pages which explain how to undo the spells are missing. Mild mayhem ensues which is soon put to right, scaring off a thieving raccoon along the way. 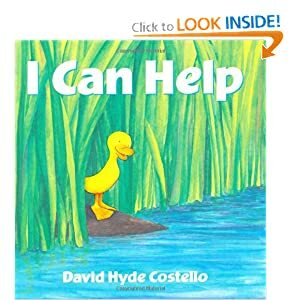 And finally, a request: can anyone recommend preschooler-level picture books about poverty? With Ramadan coming up, I want to introduce Basbusa to the importance of helping the poor and giving in charity, but I don't think she has much of a concept of what "being poor" actually means. Thanks for any suggestions! More on "21st Century Skills"
Thanks to my mom, who works at a school which is committed to staying up to date with research about education in the 21st century, I'm lucky enough to get lists of resources and journal articles that I would probably never have stumbled across otherwise. It makes for very thought-provoking reading. The research is aimed at education in a school setting rather than in homeschooling, but it's still extremely useful when I'm trying to define what my goals are for my daughters' education. All of this research makes a distinction between content and skills; between the hard facts which kids should know, and the things which they should be able to do with that information. Most of the articles I've read devote more attention to the skills than to the content. Content is (comparatively) less important nowadays, these researchers argue, partly because the information age has made fact-finding so much easier and faster, and partly because the world is changing so fast that we can't hope to give our children all the information they'll need for their futures. So we should focus instead on giving the skills they'll need to educate themselves, and to thrive in a world of fast-changing, highly-interactive information. Preparation for responsible participation in the global community. Labels: education research, homeschool or not? The garbage-truck book that always comes first to my mind is I Stink, which seems to be in every library display case in the country. We checked it out, but it didn't get more than a few reads, so I had thought maybe it was just more of a boy topic. But Smash! Mash! Crash! There Goes the Trash! proved me wrong, because it's been a favorite for the past two weeks. "Rumbling, roaring. Dragons snoring? Bumping, thumping. Giants jumping? Booming, banging. Cymbals clanging? Nooooo! The garbage trucks are here today!" The book then proceeds through all the usual chomping, mashing and pulping of icky garbage, to the delight of the two little kids (well, pigs, actually) who are watching. I, like Basbusa, much preferred this book to the ubiquitous I Stink, both because the language used is more expressive and because the truck itself isn't directing any of its roaring at the reader. 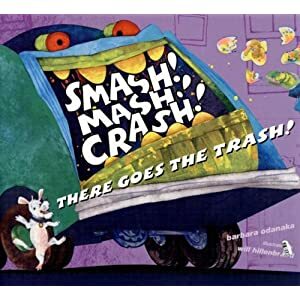 The only thing I wondered about was whether kids today ever really hear the noise described in all these garbage-truck books? I remember the racket I always used to hear when I lived in New York City years and years ago, but all I've heard in recent years is the very polite "daaa-yeep, daaa-yeep!" beeping of our automated suburban waste disposal services. 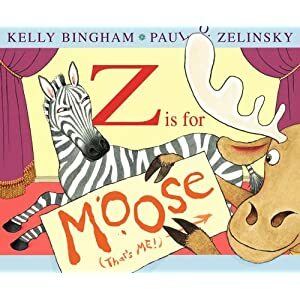 Z is for Moose is the funniest alphabet book I've ever read. A zebra is directing a pretty routine production of A-is-for-Apple, B-is-for-Ball, etc, but Moose is so excited that he just cannot wait for his turn. D is for... Moose!!! No, no, Moose, not your turn yet. Moose spends the next few letters trying to sneak into the picture in any way he can, until they finally reach the letter M... and Moose discovers that M is for Mouse, in this particular lineup! ("I'm sorry. We decided to go with the mouse this time," says the zebra, checking it off on his clipboard.) Whereupon Moose throws a tantrum. He smashes his way through the N, O, P and Q pages, uses a red crayon to add moose-antlers to the ring and the snake on the R and S pages, and finally dissolves in tears. In the end the zebra takes pity on the sobbing Moose and finds a way to make things better. I just loved this one, and I still giggle even after umpteen readings. Basbusa liked it too, but she doesn't seem to find it quite as funny as I do. I guess maybe a perfectly-captured preschooler-tantrum comes across as more of a factual depiction, rather than a joke, if you actually are a preschooler? 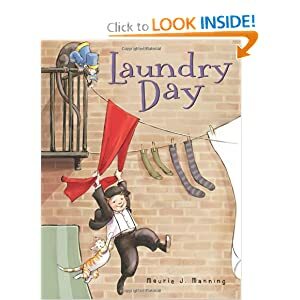 I was going to say that Laundry Day is an almost-wordless picture book, but I just noticed in the Amazon description that it's actually a "graphic picture-book," which I think sums it up really well. It's set in New York City at the end of the 1800s, and the illustrations give a fascinating and detailed glimpse of daily life in a city neighborhood. The story tells of a shoe-shine boy who is trying to return a red scarf to its proper owner, after it flutters down on top of him from one of the myriad clothes-lines strung above his head between the apartment buildings. By hopping up on a stack of boxes he makes his way to the first balcony, and from there he balances along clothes lines, shimmies up waterspouts and clambers along fire escape ladders, meeting all the diverse but friendly neighbors along the way. He eventually does find the owner of the scarf, and slithers down to street-level again, but now the whole city feels different. Before his adventure, the boy had seemed so alone in the busy, impersonal, street, but after meeting all his neighbors and seeing how their lives, like their clotheslines, were all interconnected, the busy street felt like a community. Basbusa and I both loved this one, and since there's so little text, Basbusa can enjoy it by herself just as much as she does with me. Welcome! I'm the Mama of two little girls and a baby boy. This blog is mostly a record of our homeschooling journey, as we explore the joy of learning and discovery in both English and Arabic.